Question of the Week: Do you have a “signature” scent? If so, what is it? Answer: In my husband’s eyes… my signature scent would be Dior’s Hypnotic Poison… but in mine, it’s the ultimately cooler and of course far less mainstream (*rolls eyes at self*) Miller Harris L’air de Rien! My Beauty Bunny – Add a little more beauty to life with goodies found in the aisles of Target! Check out our review of the skin-saving It’s a Beautiful Life kit from Pacifica. Nouveau Cheap – What if I told you that there’s an adorable little drugstore palette that can be used for face AND eyes (seriously, it works for both) with lovely, wearable shadows that resemble shades from higher-end brands? It’s true and it’s right here. Prime Beauty – tests out her hypnotic powers with Lancome’s Hypnotic Eyes Collection. Are you getting sleepy yet? we heart this – want to know the easiest way to tightline? Win this giveaway and you’ll find out soon enough! Clumps of Mascara – loves COVERGIRL but this mascara is just, well..they should probably go back to the drawing board. EauMG – From spring break to April showers, update your spring fragrance wardrobe with any of these perfumes featured in Victoria’s Spring 2014 Perfume Picks. 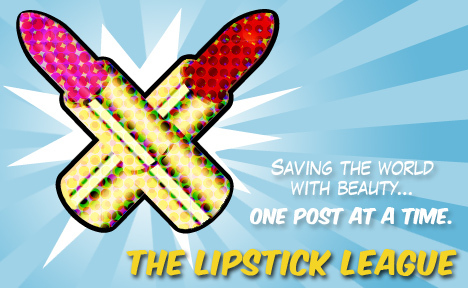 Gouldylox Reviews – It’s finally warm, so it’s time to switch up your colors! Makeup Wars tackled the fine art of choosing the best blush for spring and summer. Is your favorite on the list? Lipglossiping – appreciates a pretty posey when she sees one and the new Clinique Cheek Pop blushers feature some of the prettiest around! Guest Post of the Week, as chosen by My Beauty Bunny – Hollywood red carpet host Jessica Carroll has relaunched her fun fashion and beauty site DressJessXO. Not only is she sweet as pie, she always has amazing tips gleaned from celebs. Here, she shows us how to Rid Yourself of Dark Circles in just 3 steps!